SEAT are gearing up for the Frankfurt Motorshow where the Arona and the Leon CUPRA R will take center stage on the first press day and will be presented in a different way. On Tuesday September 12th at 12:15 hours, the SEAT Press Conference will be hosted by Luca de Meo, President of SEAT, who will be tackling corporate figures, the New Arona, the Leon CUPRA R, Alexa technology and the public announcement of the New large SUV Finalist Names. In the afternoon, members of the Executive Committee will give two Press Talks: At 15:00 hours, Wayne Griffiths, Executive Vice-President for Sales and Marketing and Dr. Matthias Rabe, Executive Vice-President for Research and Development will be presenting the New Leon CUPRA R and the future CUPRA business projects, and at 16:30 hours, Ned Curic, Vice-President for Alexa by Amazon and Dr. Matthias Rabe will be speaking about the integration of Alexa, the new innovative voice-controlled digital assistant in the SEAT range. SEAT is experiencing some of its best times as a company. In the last four years, SEAT has achieved a growth of 30%; last year it sold almost 410,000 units and made operating profits of 143 million euros, the company’s best ever results. So far in 2017, in the first eight months of the year, SEAT has sold more than 310,000 cars, which represents an increase of more than 13% compared to the same period last year. This is the best result since 2001. The increase in sales in 2017 is reflected in SEAT’s first half financial results. Operating profit went up by 40.9% in the first half of the year compared to the same period in 2016, reaching a record figure of 130 million euros. At the same time, turnover went up by 12.7% to stand at 5,054 million euros in the first six months of the year. The new SEAT Leon CUPRA R will undoubtedly be drawing the attendees attention at the Spanish brand stand at the IAA 2017. SEAT’s most powerful road car in history will also be its most exclusive, owing to the fact that it will be limited to 799 units. The new SEAT Leon CUPRA R will be available with manual gearbox (310 PS) and DSG (300 PS), with six speeds and front wheel drive. There are some stand-out details on the bodywork such as exclusive carbon fiber details on the front and rear spoilers, side skirts and rear diffuser, wing mirrors in copper, as well as the rims, with the wheel arches and the front area getting a new, more powerful design around the air intakes. 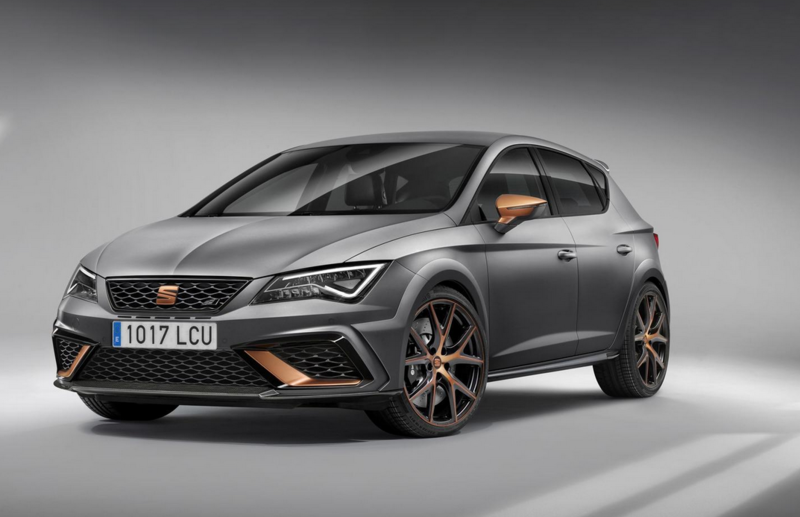 The SEAT Leon CUPRA R will be available at the end of 2017 and the 799 lucky owners will be able to enjoy an interior that is also been given the carbon fiber and copper treatment, as well as the steering wheel and the gearstick upholstered in Alcantara®. There will be three colors to choose from; Midnight Black, Pyrenees Grey (neither with extra cost) and the exclusive Matte Grey. The new Leon CUPRA R also receives a few extras. On the front axle, the camber has been modified and the adaptive suspension DCC (Dynamic Chassis Control), not forgetting the Brembo brakes. There is a new exhaust system too. So sportier, yes, but above all else a unique and unrepeatable model, reserved for 799 of the brands most demanding drivers. With the New Arona SEAT is entering the compact crossover segment. Not only that, but the Frankfurt Motorshow will see the starting gun fired for the sales of the Arona, as orders for the new crossover will begin to be taken on the same day that the car makes its public debut. The first cars will be delivered to customers at the end of November. Destined for those drivers that are looking for that extra exciting component to their driving experience, the Arona takes its place in the SEAT SUV range below the Ateca and, following the Ibiza, is the second car to be manufactured using the MQB A0 platform. Manufactured exclusively in Martorell, it stands out thanks to its design, height, width, its compact crossover dimensions, its wide range of possibilities for personalization and the most advanced technology in safety and connectivity. Arona continues SEAT’s biggest product offensive ever, following the Ateca, the upgraded Leon, the new Ibiza and will be completed with the large SUV coming next year. 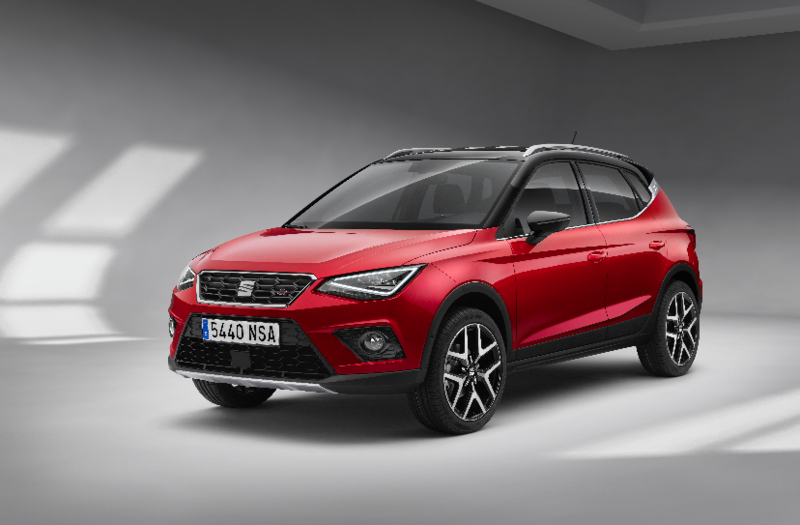 Among all car manufacturers in Europe, SEAT will have the first vehicles to integrate Amazon Alexa as an interactive voice service and it will be available by the end of this year in Leon and Ateca and next year in Ibiza and Arona. At the Frankfurt Motorshow SEAT announces its new integration with Amazon Alexa voice service. The integration between SEAT and Amazon Alexa aims at offering smart solutions and optimizing the driver’s time spent in the car. With SEAT’s skill for Alexa and its in-car integration, drivers can just ask to find a destination spot, the closest car dealer or a place for dinner amongst other things. And best of all, this is just the beginning, because the evolution of Alexa and its integration into the SEAT range has only just begun. The brand is going to present the finalist names during the press conference on 12 September at the Frankfurt Motorshow. From that day until 25 September, everybody aiming to vote for their favourite candidate will be able to do so on seat.com/seekingname and seat.es/buscanombre and the name which receives the most votes will be the winner. SEAT will reveal the name of the new SUV before 15 October.